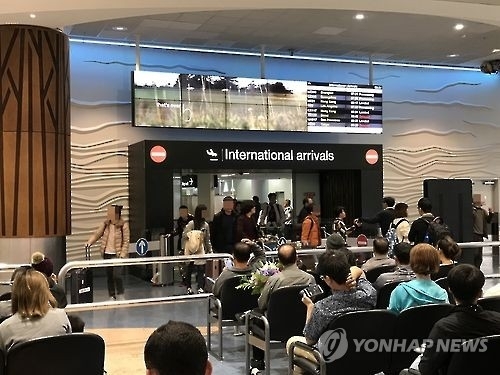 AUCKLAND, New Zealand, Aug. 5 (Yonhap) -- New Zealand has rejected visa applications from a group of North Korean scholars wanting to attend an international symposium in Auckland, in an apparent move to join the United States-led efforts to isolate the North for its repeated missile and nuclear provocations, a local newspaper reported Saturday. The New Zealand Herald said that a 10-member delegation from the Pyongyang-based Academy of Social Sciences was not permitted to attend the International Society for Korean Studies conference in Auckland this week after the authorities denied them entry visas. The North Korean group included scholars specializing in history, philosophy and linguistics, among others, the newspaper noted. The conference held at the University of Auckland on Thursday and Friday was attended by some 130 academics from around the world, including the U.S., Europe, China and South Korea. The Japan-based group convenes the conference every other year, with the last event being held in Austria in 2015. According to the newspaper, New Zealand's foreign ministry declined to comment on the matter. But an informed figure here said the visa rejection was apparently in line with the international community's move to sanction North Korea for its nuclear and missile programs.